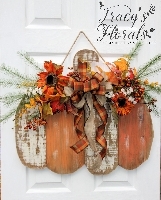 This unique piece will make quite a statement on your door this fall! 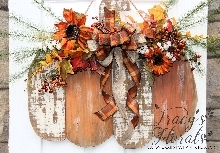 Made of rustic slat wood, and painted in a distress finish, this primitive pumpkin is an eye-catcher. 24" wide (with some sprigs extending out a bit further) and 22" tall. Finished with a full fall spray of rust sunflowers, fall leaves, berries, wispy green sprigs,cream mini flowers, and a burlap and fall check bow. 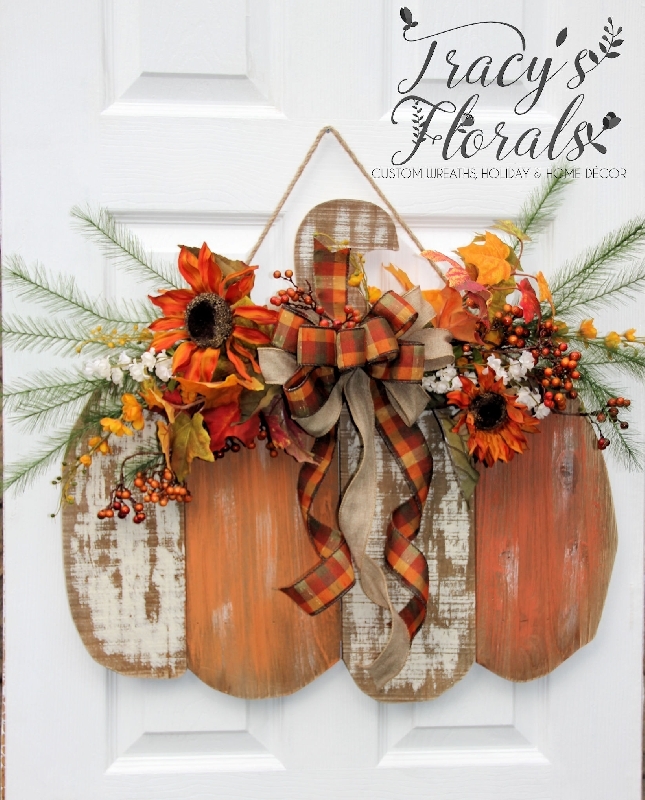 An extra large piece that will still fit a standard size door, or hang indoors. 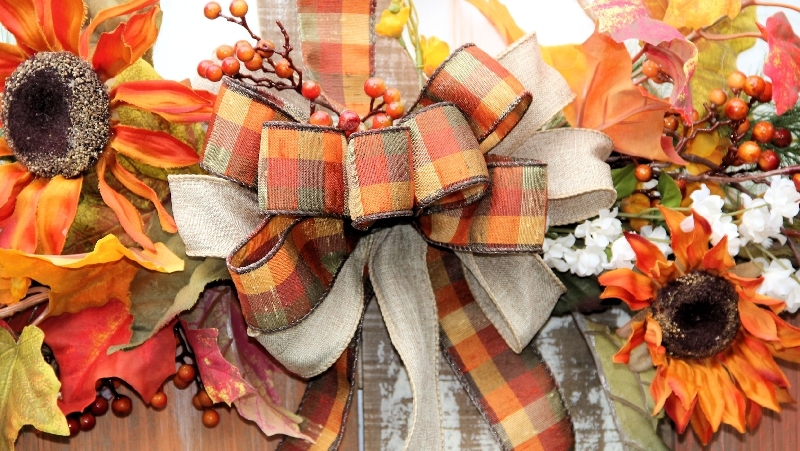 Limited quantities!